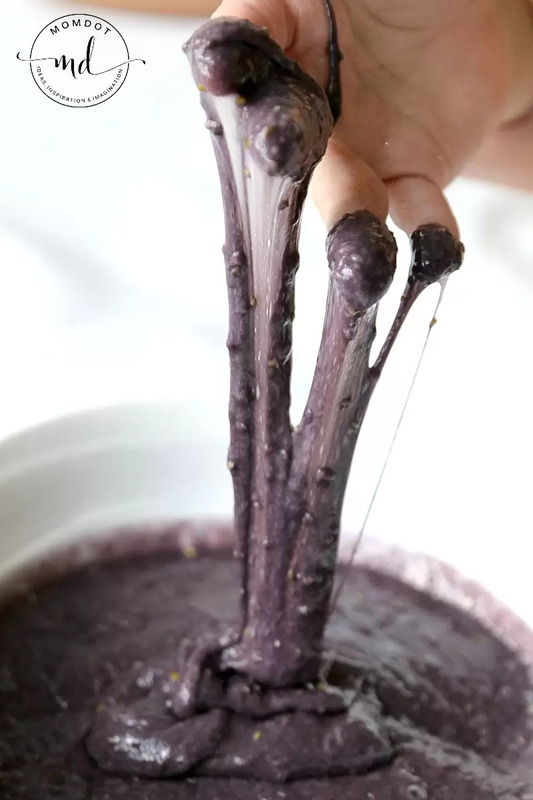 Home » Slime Recipes » Bat Poop Slime: Halloween Slime Recipe! 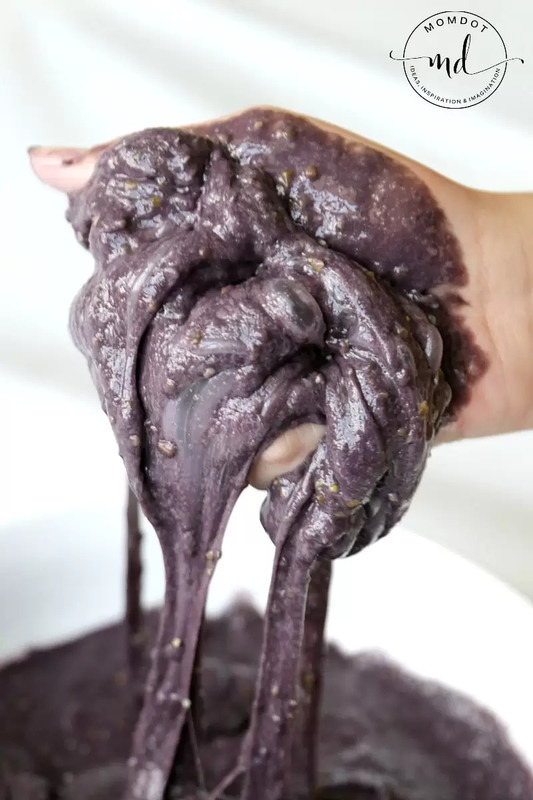 Disgusting Bat Poop Slime, is a Halloween Slime Recipe to gross out your friends with a secret ingredient! Learn below how to make this bat poop slime for some good old fashioned Halloween fun! Summers over so you think you have gotten past all the slime in your house….WRONG! Halloween is absolutely one of the best times of the year to put your slime making skills to work! 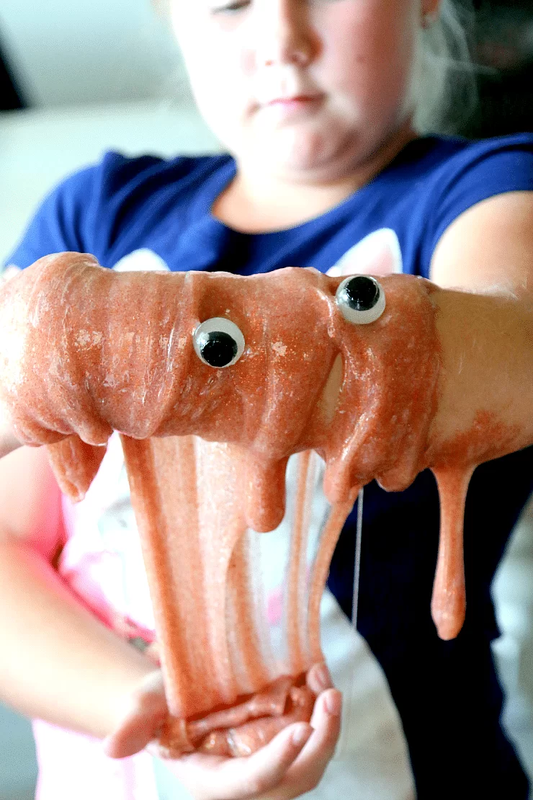 Icky, ooey, gooey and fun, I have plenty of Halloween slime recipes for you to enjoy this year. 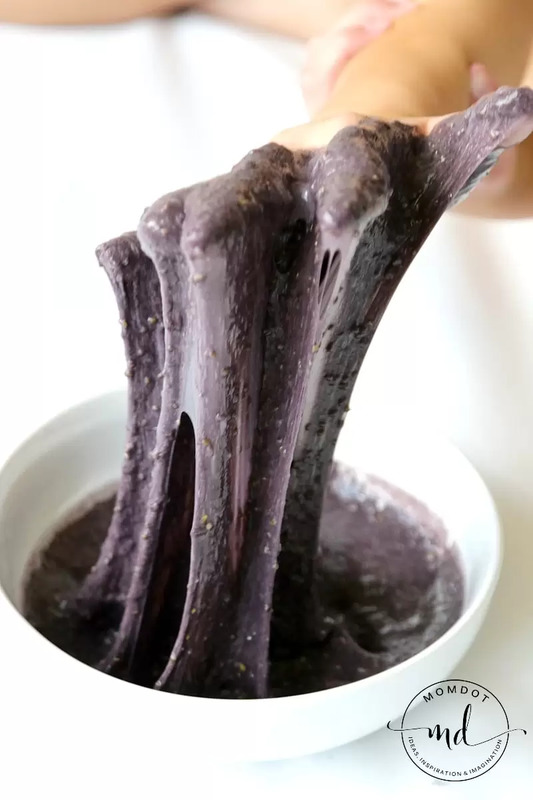 Freaking out your friends, giving away as non candy Halloween favors, and even making slime into a decor, this Bat Poop Slime is our grossest slime yet. You can alter the color in any form, but the fun addition of uncooked grits really up the gross factor. 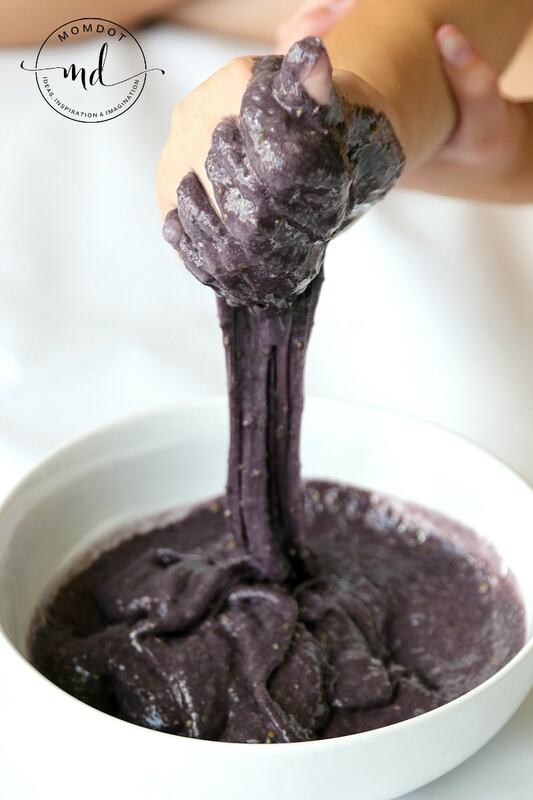 Lets get started making slime! 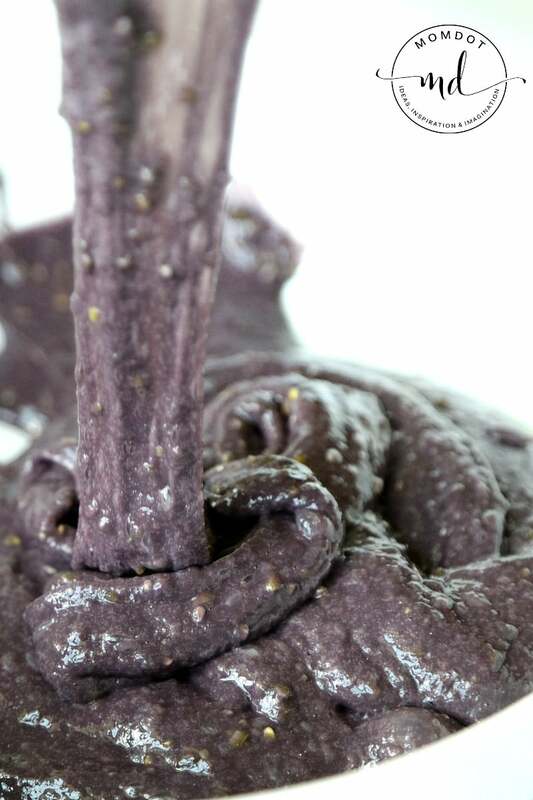 First things first, you should know how to make slime. If you don’t, I have a ton of slime recipes here on MomDot. The type of slime you make is up to you, but to create this Bat Poop Slime you will need a white glue base and I typically use starch (recipe for this would be here on No Borax Slime). If you prefer, you could also use a Saline Slime Recipe or a fluffy slime recipe. You could also combine the two and make fluffy slime with saline solution! Before we get started you will need a few ingredients for your slime. For us, that is a Gallon of Elmer’s Glue , Liquid Starch , a colorant (I prefer Wilton’s Food Coloring ) and for this, the additive that makes fluffy slime work, extra moisturizing shaving cream. Here is a list of items you will need for your slime recipe. White school glue – I always use GALLON SIZED GLUE. Tiny bottles do not produce a lot of slime and this is an addicting project. Go ahead and get the gallon size. You cannot find this in most stores. The real factor in making this slime is to add uncooked stone grits . They are small, chunky, and hard- giving it a really gritty bird and bat poop feeling. Its a fantastically fun and Halloween sensory experience to play with, but don’t be afraid to also put it in secret game that people put their hands into and try to guess what it is! Ready more nasty halloween slimes to get ready for the holiday? This looks so gross but that’s the point right LOL. My son would love this for the haunted house they do at a friends house.